From Detroit, Michigan, Whalen committed to Stanford University to play his college ball. Roommates with QB Andrew Luck for three years at Stanford, Whalen’s best statistical season came in 2011. He finished the season with 56 receptions for 749 yards and 4 touchdowns. He was a finalist for the Burlsworth Trophy, given to the most outstanding FBS college football player who began his career as a walk-on. 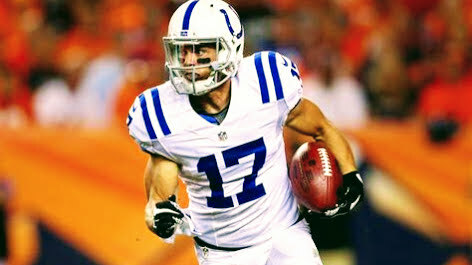 Whalen began his NFL career re-joining Luck on the Indianapolis Colts. While a broken foot ended his rookie campaign, Whalen remained a Colt until 2015 when he signed with the Miami Dolphins. Whalen would also go on to have stints with the San Diego Chargers and New England Patriots. In 2017, Whalen joined The Spring League’s Summer Showcase game to get more playing time and exposure against elite competition. There, he led The Spring League with 4 catches for 73 yards, a performance that earned him a contract with the Baltimore Ravens. In Week 7 of the NFL regular season, Whalen recorded 4 receptions for 23 yards against the Minnesota Vikings.